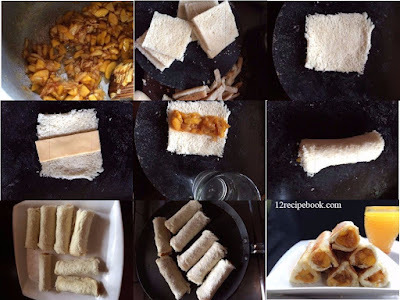 Bread Roll is an easy and tasty tea time snack. 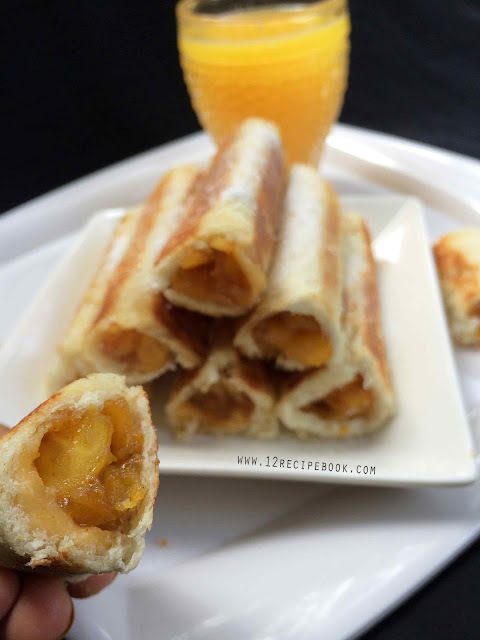 You can make this with any of your favorite fillings. 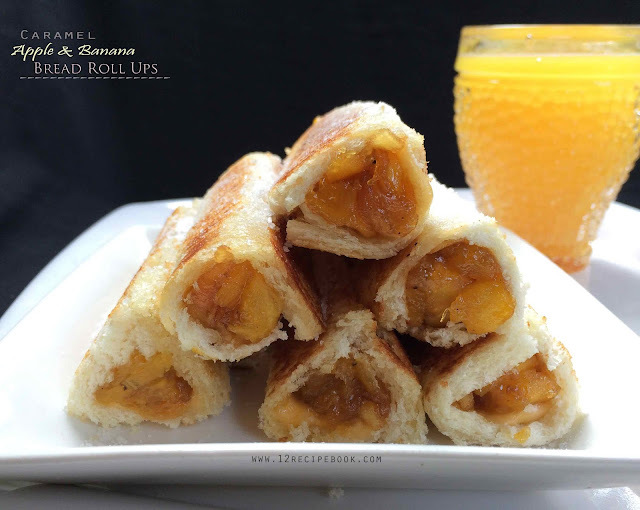 Here is the recipe of Bread roll ups with a sweet caramel apple and banana filling in addition with a slice of cheese! Heat a pan with 1/4 cup of sugar; allow to caramelize; when it changes golden in color add 2 tbsp s of butter. Mix gently and add apple pieces.Cook for about 5 minutes; then add banana slices. Add cardamom powder and cinnamon powder. Turn off the heat and allow to cool completely. Trim the edges of bread slices. With a rolling pin; roll the bread slice as very thin. Place a slice of cheese and little portion of prepared filling on the center of the bread slice. Roll the bread and seal both edges by applying water ( don’t put too much filling inside the bread. Take care when rolling the bread and avoid cracking of bread slice). Heat a pan with butter and toast the prepared rolls on all the sides until golden and crisp.